A Whisper in the Thunder is the first release on Spotted Peccary’s new subdivision label called O3e Music and from the sounds of this one I’m sure it will not be the last. Tom is joined on this release by Jerry Marotta (Peter Gabriel, Indigo Girls), Pat Mastelotto (King Crimson) and the California Guitar Trio (Bert Lams, Paul Richards, Hideyo Moriya) who help Tom shine all the more in this stunning debut. 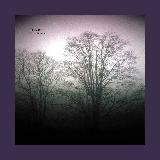 Tom composed and produced all the material you hear on this CD and you might be surprised to learn that Tom does not play as much guitar on this CD as you might think from first listen but rather an instrument called the Chapman Stick which he discovered after watching a performance by Tony Levin. Tom decided after seeing Tony Levin play the Chapman Stick that he was going to switch from the guitar and master this new instrument. Judging from what he shows us on this CD he is well on his way to being a master of the Chapman Stick. Tom takes us through 9 tracks on this CD with each one showing that he is more than capable as a musician and a composer to bring his music to life using this new found instrument. The longest track on this collection of music is 9:14 but that is not typical of the rest of the songs on this CD. Most of the songs are right around 4-5 minutes in length. I would not consider this a bad thing as you get a chance to hear more of what Tom does best which is make the Chapman Stick speak his musical language. After listening to this CD completely through a few times now I would venture to say that there is not a weak track in the set. The more I listened to Tom’s playing the more it reminded me of another artist on Narada that I have listened to in the past when I wanted to hear some great guitar playing. Billy McLaughlin’s CD Out of Hand is an echo of the style of music that Tom Griesgraber has created on A Whisper in the Thunder. Some of the standout tracks from Tom’s CD are 77 Times which offers us a light an airy piece that has a laid back groove feel to the music while Tom’s playing is precise and evokes a joyful response from the listener. Another fantastic piece is the track called El Prado which shows you exactly how precise the Chapman stick can be in the hands of a master player. Each and every string resonates with a clear and distinct tone that reminds one of the precision of a classical guitarist and yet the melodies and the rhythms explore those areas between jazz, new age and ambient. The most atmospheric track on the CD would probably be The Frozen Ocean which opens with what sounds like the wind blowing across a barren expanse that in my mind creates visuals of an arctic climate. The music builds with waves of sound breaking upon the frozen shore that in some respects reminded me of Craig Padilla’s work Vostok. Near the end of the piece we get Tom’s instrument wailing out of the cold and the wind and then it slides right into the next song Victor’s Chase. Very nice. All in all this CD offers the listener a wide range of listening experiences from light and airy to expansive, dark and cold. All of the music is a tribute to the compositional skills of Tom Griesgraber and his abilities to bring it all together using the Chapman stick as his main tool. This may have been Tom’s first effort on this new label from Spotted Peccary and the first for the label as well but it has made an impression on my mind that the label stands for quality music which is evident in Tom’s playing. 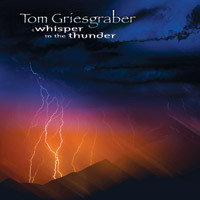 If you are looking for great guitar CD that moves easily between a variety of styles then A Whisper in the Thunder is the CD for you. Recommended.